<img class='alignnone size-full wp-image-1169' src='https://paramountlodging.com/wp-content/uploads/2015/06/sanjeevfunfact.png' alt='sanjeevfunfact' width='183' height='176' /></p> <p>Boots, Backpacks and Base Camps!</p> <p> </p> <p>Sanjeev spent two months hiking around South America after finishing his MBA. Sanjeev Misra is a Founder of and President of Paramount Lodging Advisors located in Chicago, Illinois. Sanjeev is responsible for general company strategies, hotel valuation analysis and business development. Sanjeev is also a principal of Atira Hotels, a firm offering hotel operations, asset management services and development supervision to the hospitality industry. Sanjeev has also previously served in other capacities such as Director of Real Estate for JHM Hotels in Greenville, SC, managing all real estate holdings for an owner, developer and operator of 35 hotels under 14 franchise brands. He has been responsible for all phases of the development process, as well as all hotel acquisitions and dispositions. Sanjeev received his Bachelor of Science at Cornell University’s School of Hotel Administration and his Masters in Business Administration from the University of Michigan Ross School of Business. Sanjeev sits on the Advisory Board for the Cornell Center of Real Estate (CREF). He has also served as a Distinguished Speaker at the Baker Program in Real Estate at Cornell. Sanjeev has been published as the lead story for an issue of Illinois Real Estate Journal and has also published various articles for AAHOA Lodging Business and Hotel Management Magazine. 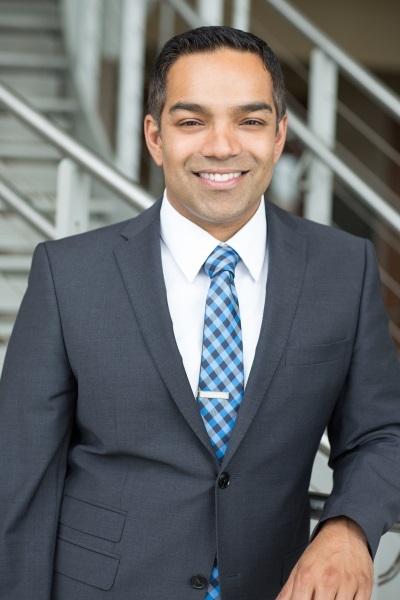 In 2014, Sanjeev was chosen as one of the best and brightest young professionals in commercial real estate by Real Estate Forum Magazine’s annual 50 Under 40 list.